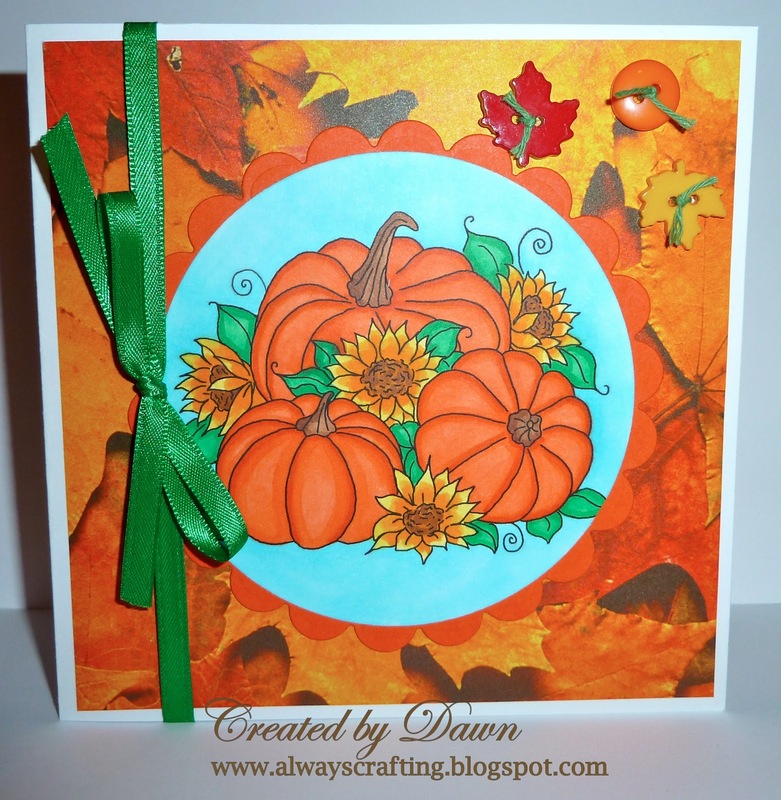 Today at the Crafting for all Seasons challenge blog we are starting a new challenge with a theme of fall flowers/Pumpkins! You must check out her website! She has some amazing floral design available in pre-color, black and white as well as SVG files available. We had the best time working with her lovely images for this challenge! I used her image Pumpkins with sunflowers! What a beautiful image to work with! 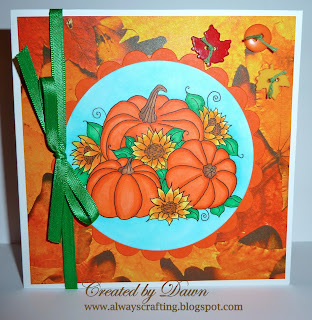 Head over to Crafting for all Seasons and enter your own fall project! Gorgeous card, I love how bright and colourful it is!